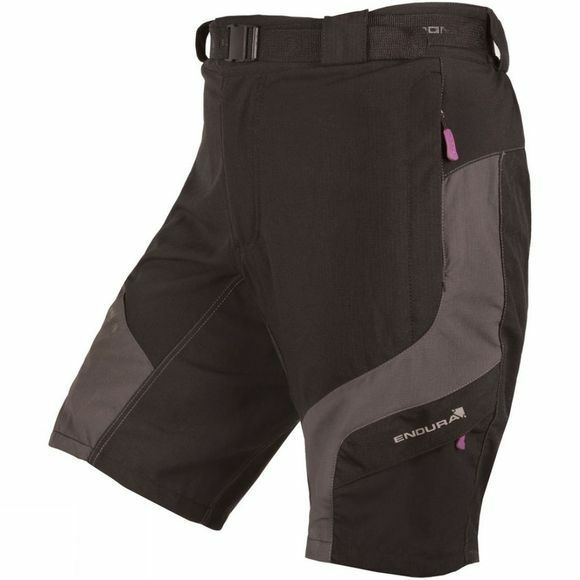 The Endura Hummvee Women's Shorts are a durable choice for urban and trail cycling. 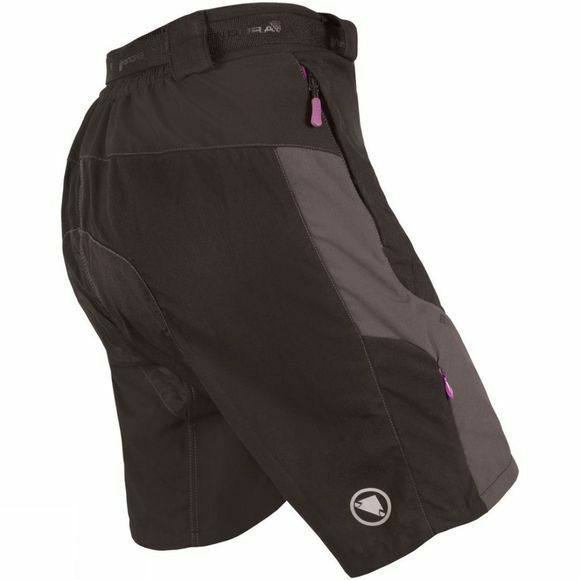 With durable nylon fabric construction and a choice of pockets, the Hummvee shorts feature an adjustable belt for ease. Ergonomically designed to mould to the female form, this moulded pad in a comfort-wick fabric transports moisture rapidly to keep the skin dry. This is a compact pad of 8mm maximum thickness with antibacterial finish making it ideal for short to medium length rides of 1-2 hours.